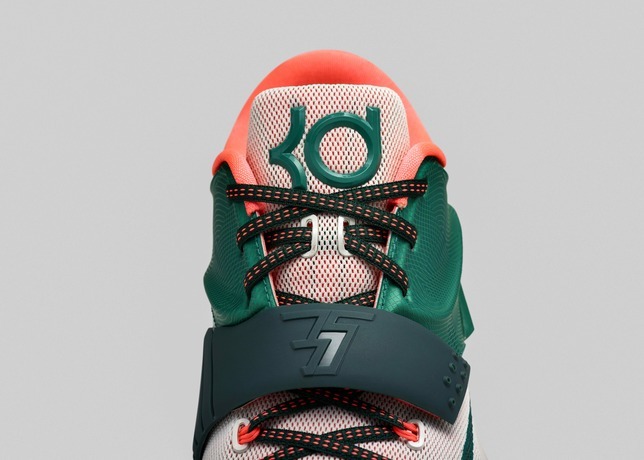 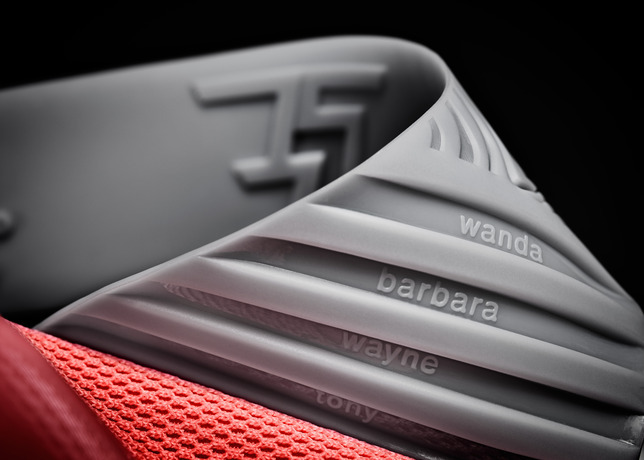 Although we’re only two releases into the KD VI line, Various colorways of Kevin Durant’s Sixth signature shoe continue to surface this week . 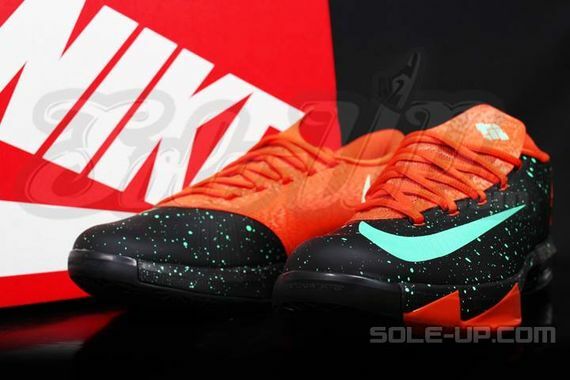 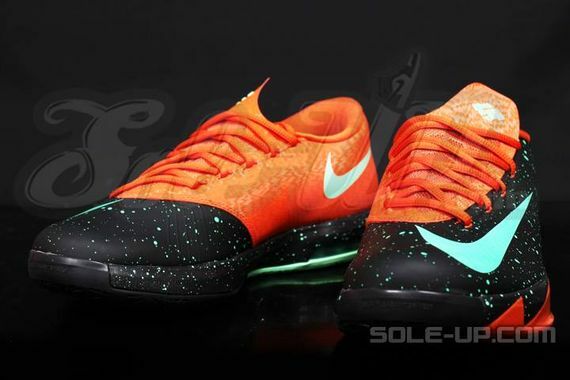 The latest colorway to make headlines is a Galaxy-Esque make up featuring Green Glow speckles on the upper, Mint Swoosh and Sole, finished with Orange accents. 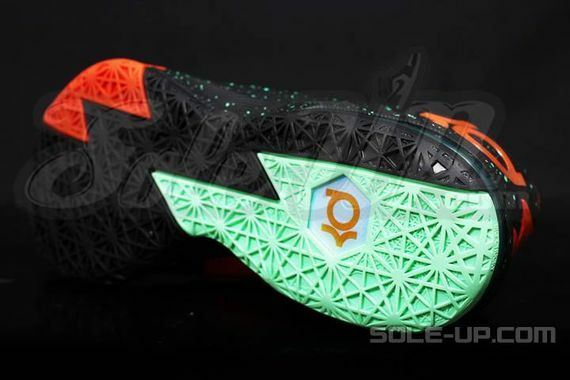 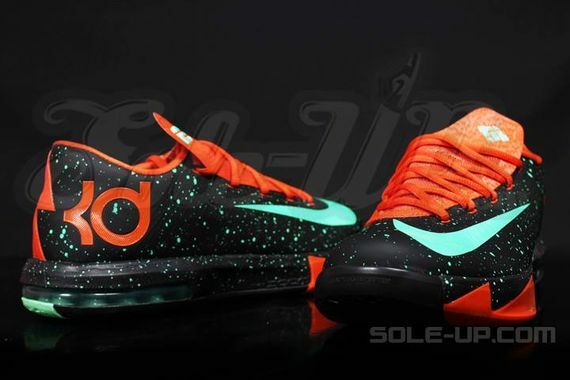 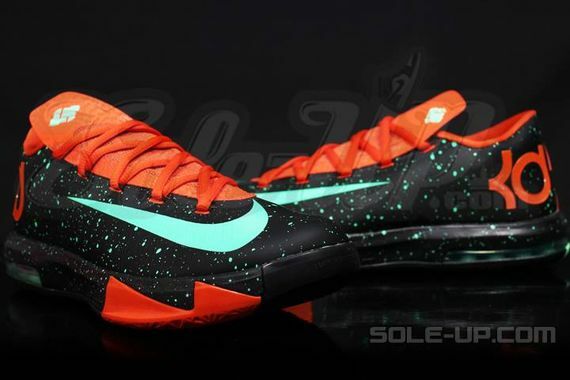 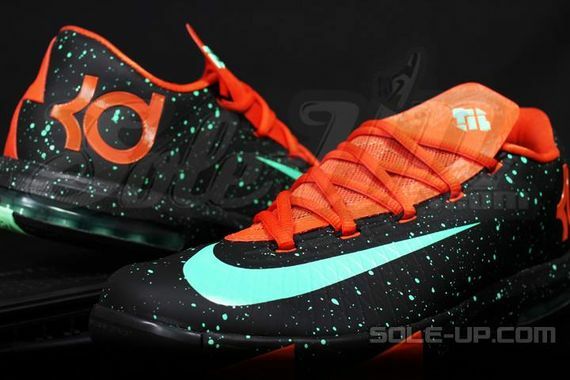 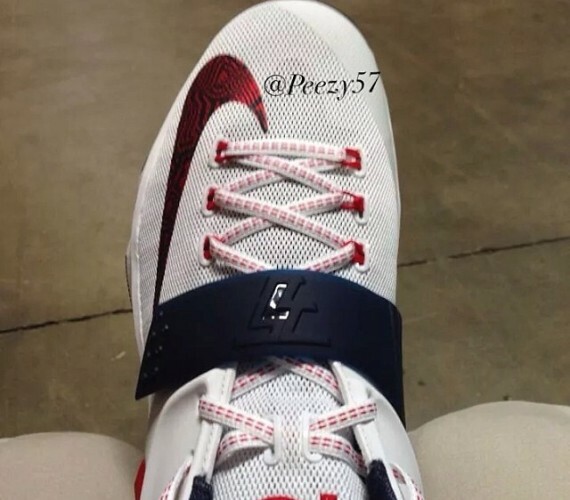 No release info is available for now but stay tuned with Modern Notoriety for more news on this upcoming KD VI colorway.